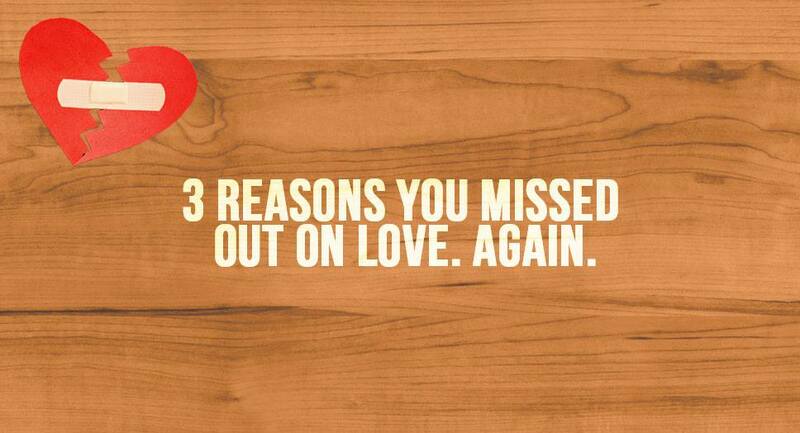 3 Reasons You Missed Out On Love. AGAIN. You can’t put your finger on it, but something just feels “off”. You send your love a text anxiously waiting for the light on your phone to brighten where you see their name, but this time it takes longer to respond. When they do text back, the responses keep getting shorter. You ask yourself, what happened? Our chemistry was amazing! There was so much passion! I really thought this was it! You initiate “the talk” and feel shocked that they all the sudden do not think this relationship should continue. They break it off. We all come across multiple scenarios of repeated similar outcomes in our lives even outside of love. 2. A LACK OF SUPPORTIVE TALK THERAPY OR NOT UTILIZING A PERSONAL JOURNAL TO ORGANIZE YOUR THOUGHTS.